Breakfast was bought at the local market. Seeing a milk-looking drink, I had to try it – even though I was warned it was not milk. The first climb was uneventful as it was grey and misty. The second because we were in the balding forest with no views the whole time. 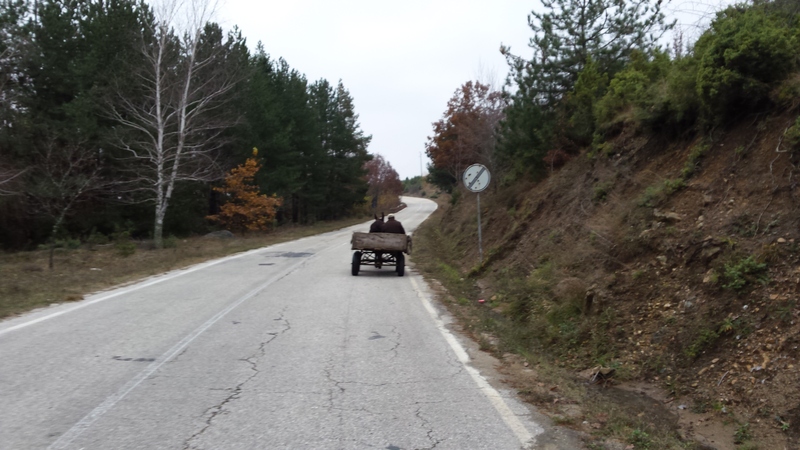 We did see a donkey pulled cart, though. From our humble abode in Ivaylovgrad, we are a mere 5km from Greece, and only 50km from Edirne – one of the gems of Turkey. Turkey sounds so distant from good ol’ Eindhoven, and we are both very excited. Turkey, here we come!! For god’s sake be very conservative when entering Istanbul! NOT on the main road, instead find side ways, please! Don’t worry. 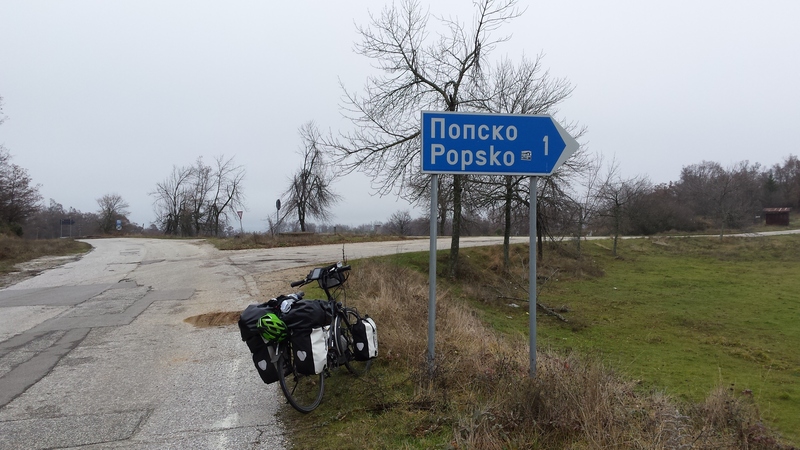 We are following a route recommended by an Istanbul bicycle shop. I know almost all roads are huge, busy and dangerous. Nice to read your blog and see all the pictures. Almost at the crossing of continents and a break of your travel. (if that is still the plan) Edirne is a great place to visit. I don’t know which route the Istanbul bicycle shop provided, I took the D020 and entered Istanbul from the North along the Bosphorus. Happy cycling and enjoy the Turkish culture.